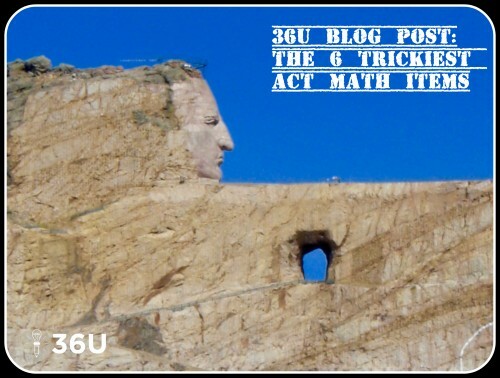 If you learned what your teachers taught in your math classes, then you should do great on the ACT math test. 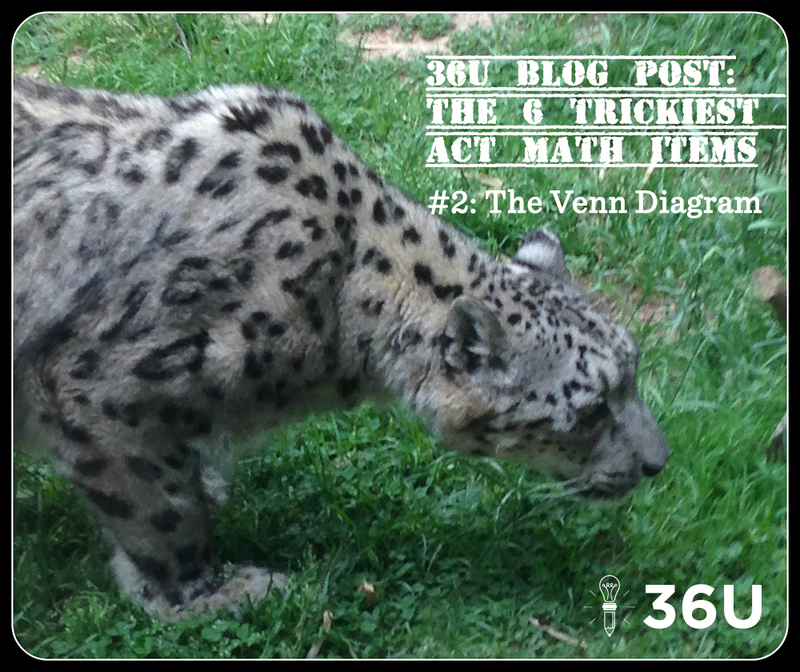 However, like most standardized tests, the ACT will throw a few items your way that look a little different than the items your teacher assigned. So, here are the tricky items we found on the latest publicly-released ACT. There are six of them. Have questions or comments? Let us know! Please note: these aren’t necessarily the most difficult items on the math test, though some are, but they are the ones that we consider the slyest. But this problem asks students to apply the same concept, but in reverse. The problem asks for x•y. Step 1) Use the information from the problem (x = ab and y =cb) to substitute for x and y. Monthly payment. P dollars. Short-term loan. Annual interest rate. This item is wordy, and the vocabulary is a little tough. On top of that, that equation is intimidating. On top of that, many students won’t know how to handle multiplying a by 2. 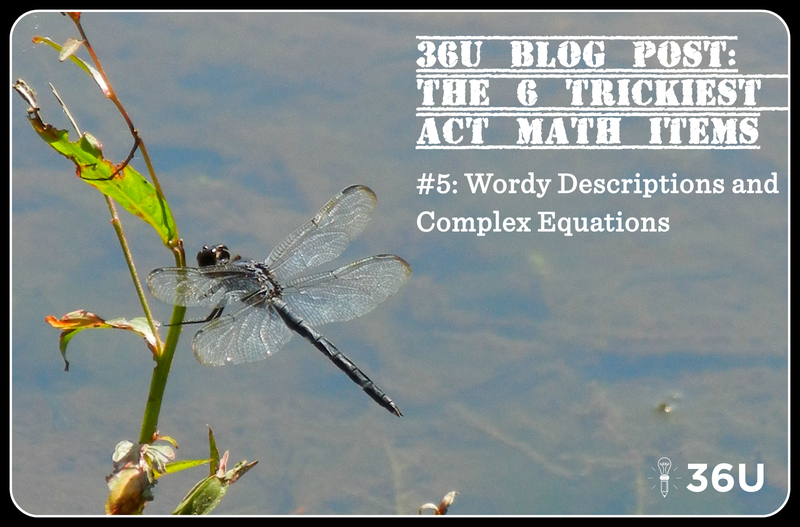 Step 1) Multiply a by 2. Step 2) Factor out the 2. 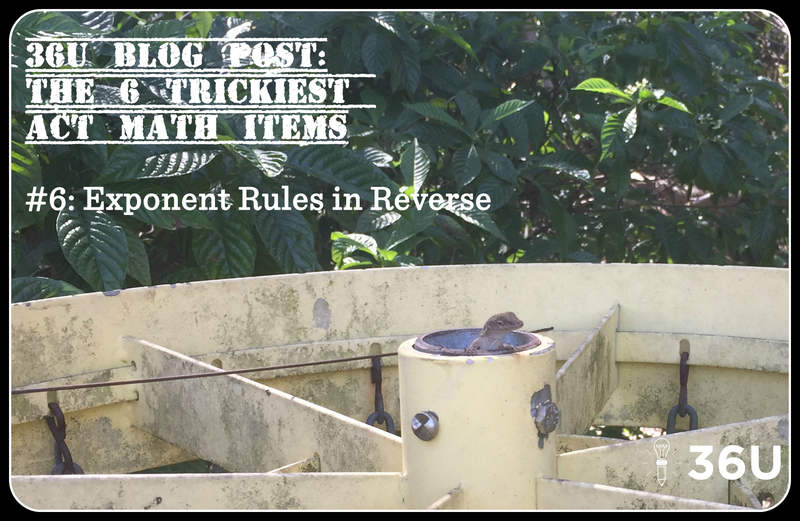 Don’t make this too complicated: use the distributive property in reverse. 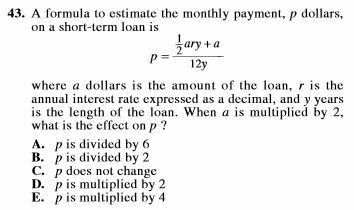 Step 3) Compare to the previous value for p.
When a is multiplied by 2, p is also multiplied by 2. The answer is D.
Reasoning through this item, especially with its fractions, is very difficult. Only the top students may find that a navigable path. 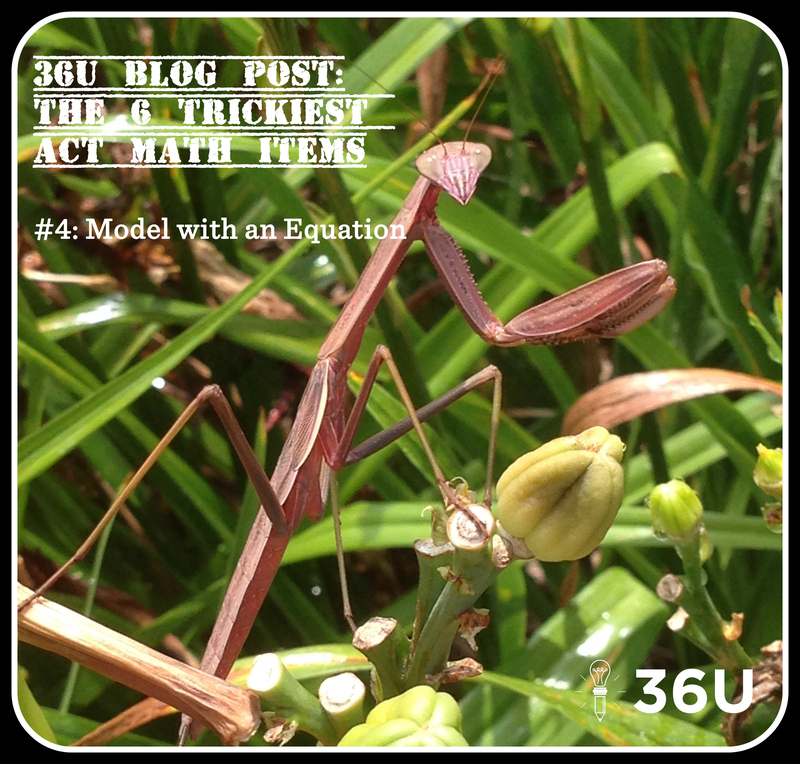 The easiest way to work the item is to set up an equation that mirrors the situation. Step 1) Set up the equation. The problem says they took 1/8 of the container, added 10 cups, and ended with the container 3/4 full. 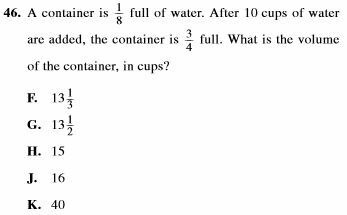 Or, maybe this is simpler: One-eighth of the container plus 10 cups equals three-fourths of the container. Step 2) Solve the equation for x, the volume of the container. Subtract (1/8)*x from both sides. Multiply both sides of the equation by 8/5. It’s also a good practice to check your solution with the information given in the problem. Have fun! Students are often more comfortable working from point A to point B along a path they’ve trod several times before. This item invites students to reason to try to find the relationship between x and z, but that reasoning is difficult. There is a variable common in both ratios—y. Rewrite both ratios so that y has the same value in both. Step 1) Rewrite both ratios. The variable y corresponds with the 2 in the first ratio and a 3 in the second ratio. 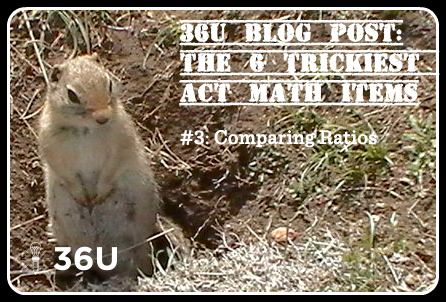 Rewrite both ratios so that y has a value of 6 (least common multiple). Step 2) Make the comparison between x and z.
Rewriting both ratios as fractions with a y value of 6 allows us to compare x and z. If the ratio of x to y is 15 to 6 and the ratio of y to z is 6 to 4, then the ratio of x to z is 15 to 4. This item, like a few others in this list, is likely to have students spending an inordinate amount of time with a trial-and-error method trying reason their way to the answer. That is a tough road! Students need a Venn Diagram in their math tool chest. Unfortunately, many of them may not have used a Venn Diagram since the 8th grade. Set up a Venn Diagram for all 120 students. Step 1) Survey question one tells us that 55 students have neither skied cross-country or downhill. 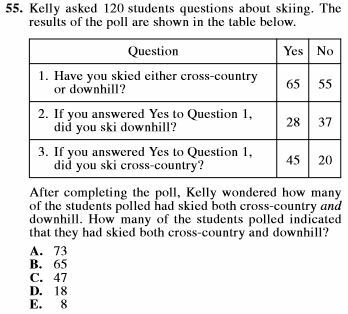 Step 2) Use survey questions two and three to find the number of students who have skied both cross-country and downhill. Survey question one states that 65 students have either skied cross-country or downhill. 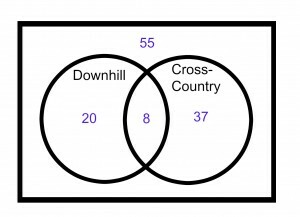 Survey question two states that 28 have skied downhill and 45 have skied cross-country. That’s 73 total, 8 more than the 65 from Q1. That means some of them have done both! Take the surplus of 8 and place them in the overlap for students who have skied both downhill and country-country. Step 3) Use survey questions 2 and 3 to finish out the Venn Diagram. Twenty-eight students have skied downhill. Forty-five students have skied cross-country. Step 4) Check your Venn Diagram with the original information. After your check, you’ll see that indeed 8 of the students had skied both cross-country and downhill. 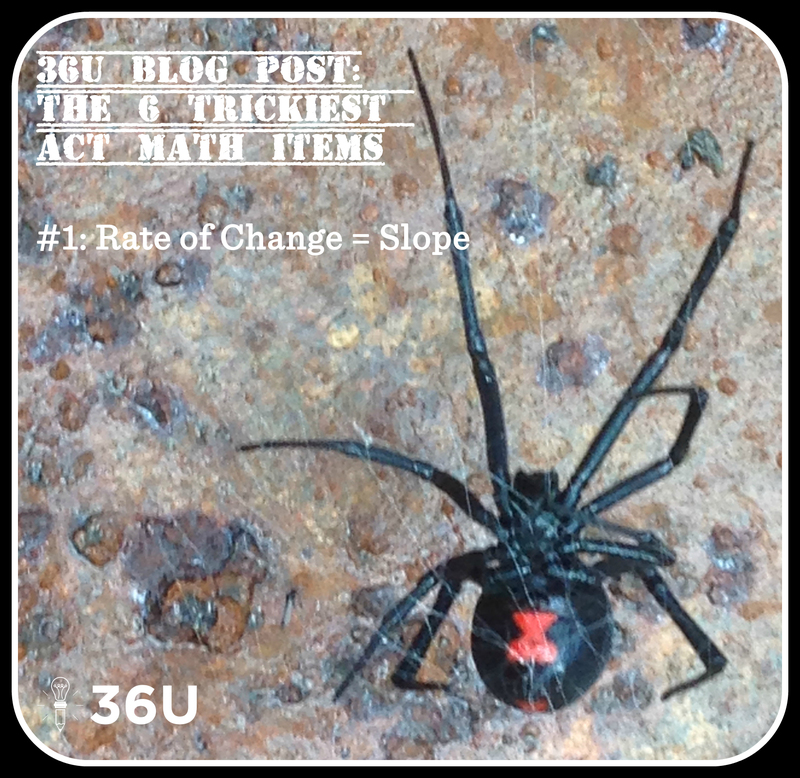 1) Rate problems are standard fare in algebra class, but this item isn’t worked like most of those textbook problems are worked. Step 1) Recognize the rate at which the dog is eating. Seven cans in three days means the dog is eating 7/3 of a can per day. This means that you can take the rate (7/3 of can per day) and multiply by the number of days to get the total amount of dog food consumed. 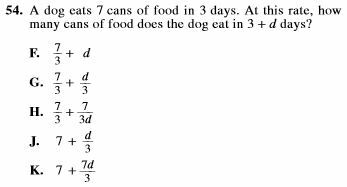 Try this: After 3 days the dog has eaten (7/3) * 3 = 7 cans of food, just like the problem stated. Step 2) Substitute to find the solution. How many cans does the dog eat in 3 + d days? Break this into two separate parts. In 3 days, the dog eats 7 cans, just like the problem told us. In d days, the dog eats (7/3)*d cans, just like we figured in Step 1. This means the dog eats 7 + (7/3)*d cans.